While we might not be aware of it, most adults in the United States have some form of periodontal disease. Gum diseases like periodontitis and gingivitis often begin to show up in adults in their 30’s and 40’s. Without regular check-ups, it’s easy to let this type of disease go undiagnosed for years. Routine hygiene is important. Brushing and flossing help get rid of plaque but once the plaque goes untreated and solidifies to form tartar, it’s a whole new problem. Tartar can form above or below the gum line. It’s easy to ignore sub gingival tartar. More noticeable than the build up itself are the resulting chronic bad breath, inflammation, and receding gum lines. For years, dentists and periodontists have used tools like the periodontic scaler and curette to remove tartar above and below the gumline. However, it can be extremely difficult to fully remove subgingival build up and surgery may be required. Fortunately, modern periodontics have begun to rely on new technology to perform the entire process – cleaning, removing and sealing. The “Laser-Assisted New Attachment Procedure (LANAP)” treats your gums with more accuracy and less bleeding, swelling, and discomfort. LANAP uses NdYAG lasers to vaporize and remove tartar, plaque, and specific bacteria from the mouth. 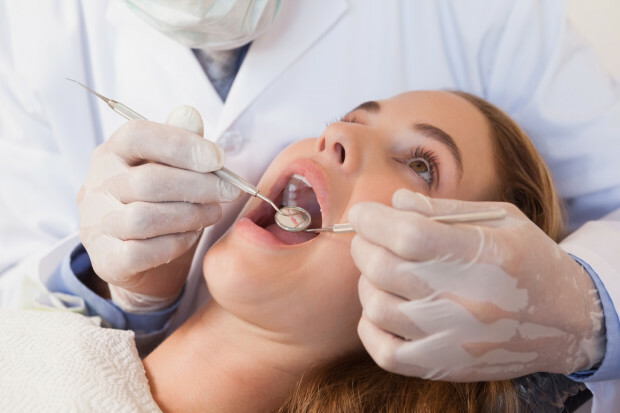 But it doesn’t stop there; while it might sound intimidating, the laser’s heat actually strips away the diseased parts of the gum and is later used to seal and cauterize the incisions. Infected tissue reacts to the laser’s heat differently than healthy gum tissue. By understanding the effects of the amount and duration of heat on the gums themselves, periodontic specialists developed a minimally invasive, efficient and effective form of tartar removal: Laser Sulcular Debridement. When performed properly, Laser Sulcular debridement is a sure-fire way to prevent bad breath, gingivitis, periodontitis and gum-line recession. Removing tartar below the gum line, which once required multiple incisions, surgery, and sutures is now performed within 1-2 hours in conjunction with a deep cleaning, using only lasers. NO PAIN, NO STITCHES, NO SCALPEL is required for this periodontal treatment. Lasers are also instrumental in maintaining regular oral health and hygiene. A professional laser cleaning every three to four months is the best way to prevent tartar buildup that leads to gum disease.